You will want to start thinking of your clothing choices as soon as you book your session. Make certain that the clothes are clean and they are well fitting. You don’t want to be scrambling last minute to find an outfit to wear. The last thing you want is for you and your family to look like a mismatched box of crayons. You also don’t want to all be wearing the same blue jeans and black shirt. Instead, pick a few colors and choose colors that will fit in this color scheme. For example: dark green, navy, and burgundy – all dark jewel tones. OR tan, a lighter olive green, and denims – all lighter, softer tones. Do you like neutrals? Pastels? Bright colors? You will most likely be hanging these on your wall. Make sure they go along with the color scheme of your house. Patterns are fun. Too much pattern will take away from the focus of the photograph. Not everyone should be wearing patterns, as it will distract from the final photograph. Keep patterns to a minimum. A little boy’s teeny tiny polka dot tie can look very complimentary next to his sisters color blocked pattern. Adding multiple different textures and layers to an outfit can turn any ho-hum outfit into a complete outfit. This is especially true when working with an outfit/color palette that may be more on the neutral/soft side. One way to achieve texture in an outfit is to use different clothing materials and accents tweed, crochet, ruffles, ribbons, hand knit items, etc. Different layers of clothing and accessories can add dimension and overall texture to the image. It can even be done with pops of color here and there. Follow your own vision and style. Props enhance and invite meaning into the photograph. You will want to choose a prop (if applicable) that adds to the vibe of the session, while also keeping it simple and meaningful. A handful of flowers that are natural, neutral color or that coordinate with color pop in the subjects’ clothing, a vintage camera, a basket of apples, (even better would be something that is meaningful to the subject) grandpas vintage camera, their favorite stuffed animal, the family pet, a quilt made by great grandma. Don’t let the prop be a distraction. Aim for the prop to add meaning to the photo while also blending in with the vision for the shoot. These images will be hanging on your wall. You want to focus on an outfit that is timeless but choosing simple, timeless, classic clothing. Make sure your wardrobe compliments the surroundings. 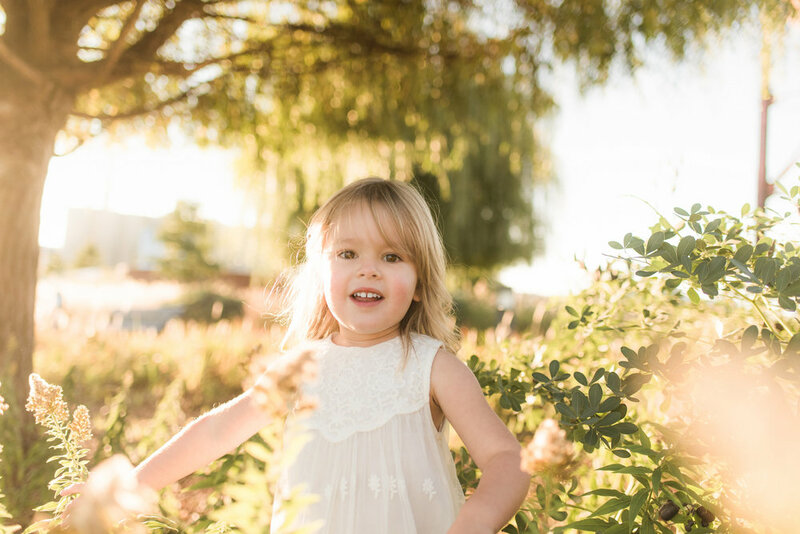 For example, a location in the field with a rustic barn in the background would be perfect for a little girl dressed in a simple, vintage style dress with Hunter wellies, pig-tails, carrying a vintage tin pail full of wildflowers. The same might be out of place in an urban setting with a graffiti wall in the background. Also consider how well the colors and patterns in the wardrobe will stand out against the backdrop. A field of bluebonnets might not be complimented by an outfit with a floral pattern or the same blues and greens in it, but would look beautiful with a solid coral colored dress to pop off the colors of the flowers and grass. It’s common to first choose the location and then create the wardrobe, accessories, and props to fit with the vision that the surroundings create. The choice of shoes can make or break a session. Think about coordinating those bright and colorful shoes with other accessories and clothing in the photo. Ditch the tennis shoes and slip on a pair of hip, distressed boots or a pair of ballet flats, and your outfit will tie together. Maybe match the little girl’s bright turquoise shoes to the sweater or scarf her mama is wearing. It ends up tying everything together without it looking too matchy-matchy. Sometimes, NO shoes work best. Even better- funky socks to add another splash of color or personality to the session if the overall look is fun and bright. After reading this post, if you feel that you are lost and filled with an endless amount of information, please reach out to me. I am here to help. I would love to assist you in choosing the right outfit for your session. I have had previous clients send me iPhone photos of their outfit choices, and I have to say, they have turned out to be some of my best-looking photographs. I am happy to give guidance and assist in any final decisions for my clients!